We work for our clients, period. We make no judgments regarding the people we work for and importantly, we genuinely care about the well-being of our clients. Although we have worked hard for successful outcomes we understand that working for people is not only about the success of the case but it is also about respecting the people we work for and communicating regularly with these same people. We love helping people and that is why we are criminal defense attorneys in Whatcom County and traffic ticket lawyers in Bellingham. We encourage people to tell us and the world what they think, here are some of those reviews. Mr. Jolly responded to an online request for information immediately, even though it was a Sunday. He didn't try to "hard sell" me on hiring him and gave me an idea of what representation would cost in general. His office represented me through all the different facets of my case- the traffic ticket, the court hearings, and the DOL. His staff is responsive and well informed. They are respectful and kind. I have already recommended Mr. Jolly & his firm once and will continue to do so. Really made the whole DUI process "easier" for me. I always knew what was going-on, given the support and guidance of Mr. Jolly. Very pleased with the job they did for me. They were responsive, approachable, and easy to work with. I felt, with confidence, that the important details were being taken care of with my best interests in mind. I recommend them highly. David Jolly Law did a professional and excellent job representing me in this case. His ENTIRE office was extremely helpful and professional! Not only did they help me during this very difficult process, but they also help me clarify the incident to my new employer- which resulted in me being hired. I cannot say enough about this Law firms professionalism and follow-up!!!!!!!!!!! I couldn't be more satisfied with the work David Jolly did on my son's case. My son was charged with a DUI (as a minor). Not only did David win the hearing with the Licensing department, he was diligent about getting him the best deal possible for the DUI. David and his office team kept us informed and up to date on the case at all times. His knowledge and expertise was what won our case. He really made us feel comfortable about what was going on and by being so responsive, our bad situation was turned into a good experience. I would highly recommend David Jolly ~ a wonderful attorney! Last year David Jolly assisted my husband and me in writing our Living Wills. He and his staff were efficient, knowledgeable and very professional. We recommend him to all we know! David is very sincere and knowledgeable. He truly cares about his clients as real people. He listens well, then puts together a plan of action for the specific circumstance. He helped us recently pursue a client who had stolen from us. We would never have achieved the outcome we did without his advice and counsel. I had the unfortunate situation of being charged with a DUI. It wasn't a good one but was my first offense. Mr. Jolly was honest and frank but optimistic. He did a lot of work and somehow managed an amazing job. My DUI was amended, he won the license hearing and I served no jail. His assistant Janean was incredible too. If you are arrested for DUI - do yourself a favor - call him! 6 months ago I was arrested and charged with DUI. A friend of mine told me at the time he had the same thing happen to him and he strongly recommended that I hire his attorney and contact the Law Firm of David Jolly. I am so glad that I did. Mr. Jolly as well as his office staff were extremely helpful and I am very satisfied with the results. Mr. Jolly's knowledge and experience with the legal system was amazing. The charge was reduced to misdemeanor/negligent driving 2nd Degree - no jail - no felony conviction on my record. Mr. Jolly was awesome. I RECOMMEND HIS LAW FIRM FOR ANYONE WHO NEEDS DUI REPRESENTATION. He is the best!!!! I am grateful to the David Jolly Law Firm. I was treated with respect and the firm took a sincere interest in securing the best possible outcome in my case. They represented me and themselves in court with professionalism. Once through the court case and the firm had been released from my case, I had a problem with the Department of Licensing. Janean Jolly spent 7 hours on the phone with the Department of Licensing and Snohomish County Court trying to resolve the matter (a court paperwork error) so my license would not be suspended. The matter would not have been resolved without her and her contacts. She went above and beyond. Thank you so much! I would highly recommend David Jolly. He represented me on two separate occasions. This first time he was able to have the charges lowered against me in a DUI case (and get a positive outcome with the DOL hearing!) and in the other case he was able to remove my probation so I could pursue my career goals. Honestly, I would not have been able to turn my life around if it weren't for David Jolly's help. His perseverance, constant communication and sincere interest in my case was the key to its success. I can't thank him enough. Hiring David Jolly is the best thing you can do for yourself, it definitely was for me. David, thank you for your work in Skagit County for me. You knew all the right answers and took great care of me. Better than I ever hoped for. Thank you David! You were honest from the first time we met and the result was as predicted - which was pleasing. Of all the attorneys I spoke with you gave me the most confidence and respect. Also, thank Janean for me - she was awesome! I don't often write reviews, but Mr. Jolly was a wonderful help so I had to. I received a DUI in Island County about 9 months ago - on Camano Island. Mr. Jolly gave me great advice from the beginning but also was very honest, which I appreciated. He told me the pros and cons and was very informative about the DUI process. My case went to a "motion" and the case was dismissed - I'm told this is rare, so I consider myself very fortunate. If you do get a DUI, PLEASE hired his law firm - they are all very friendly, well informed, honest, but very aggressive. Don't get sucked into a sales pitch with another attorney, hire this guy! After my case was dismissed I googled Mr. Jolly and found out that he has published a bunch of books on DUI - he's a very impressive guy! David Jolly helped me with my DUI case before the Lynnwood Municipal Court. He was very pleasant to work with and he was always very prepared and reassuring throughout the various stages of prosecution. He has written and is continuing to write DUI texts to help those unfamiliar with the process become acquainted with this specialized field of Law. I recommend David to anyone looking to resolve a DUI matter. I was extremely scared and embarrassed when I was charged with a DUI. I contacted David's office and he and his staff were very helpful, reassuring, and kind. David has exceptional knowledge about DUI defense with the court and the DOL. He won my DOL hearing and I kept my license! David made sure that I understood everything related to my case and was well informed throughout the process. He and his staff are professional and thorough. I know David worked tirelessly on my behalf and always had my best interests in mind. The best decision I made was hiring David! If you need an exceptional defense attorney - hire him! I have referred David Jolly to friends and or associates, facing DUI charges. I was very pleased with his representation and professionalism when faced with such a serious charge. Even two years later when I had questions he immediately returned my phone calls and treated me with the utmost respect. He was very organized and efficient, as was his office staff. If you want or need results this is the guy for you!! David Jolly handled my case very well with excellent results, better than I hoped for. He was always professional and pleasant, kept me informed and took the time to explain exactly what each step during the process would be like. I have known David Jolly for a long time and can say from experience that he's an incredible lawyer. Don't let his pleasant demeanor fool you - he's an absolute pit-bull in court. Helped me deal with my second dui. Got me the best deal the attorney would allow and then converted my 60 days house arrest to only 3 extra days in jail. Awesome!! Proud to be a neighbour to the U.S.A.
David Jolly has represent my son on two prior cases, He is an excellent, experience, and knowledgeable attorney. He help us understand all the court procedure and what to do. He is very helpful and stay with you through the whole process from beginning to the end. If you need a DUI attorney, I recommend David Jolly. I have had the "gut wrenching" experience of being charged with two prior DUI's. Forget the other attorneys and hire David Jolly. He is by far the best attorney to represent you with your DUI case. Hire David Jolly and let him do his job. A person should do research and narrow their choices for legal representation. And after you contact them, you'll be able to get a better idea on how that lawyer will answer to your needs in this stressful time. Is this lawyer knowledgeable, reassuring, sincere, and helpful? Do you also feel comfortable and trust your instincts? You don't have to pick Mr. Jolly off the bat, but do include him as one of your final candidates. See for yourself how he compares to other lawyers. And you'll probably end up going with him. I did, and I recommend him wholeheartedly. Mr. Jolly was recommended to me by a friend who was represented by him in the past and I will do the same for anyone I know that may be able to use his help in the future. For those of us who have experienced a DUI case, we know that they can be a very horrific and time consuming experience. From my very first contact with David he handled my fear and stress in this situation with the utmost compassion, reassurance and support. David always had a busy schedule, but when in front of him he made sure to make me feel like I was his only case, which was very satisfying as well as gave a huge feeling of relief. He always provided guidance and support throughout the process and was very quick to respond to emails and phone calls about any questions I had along the way. Mr. Jolly explained the legal system and every small part of my case to me in a way that I could easily understand and fully know what was happening at all times. He did not take obstacles as a road block, instead he viewed them as an opportunity to find a new avenue or strategy. When the prosecutor said that was the best offer I was going to get, he personally went in and negotiated a much better agreement than was originally offered. Long story short, my case was settled quickly with the least possible penalties. I admire Mr. Jolly as an ethical person as well as an extraordinary attorney. I cannot say enough about what an excellent lawyer he is. David is very much worth his fee and more! I am forever grateful!!! I know Mr. Jolly did very well by me in a complicated DUI case. I was scared and alarmed facing a criminal charge. Mr. Jolly had an excellent way of relating to me that made me feel assured that the situation was managed. It was a smart decision to hire him and he was able to negotiate a fair result. Also, I was kept very well informed about what was expected of me in terms of the requirements I would need to complete in the state of WA. This was crucial as I am from out of state and only had to travel back to town one time. It could have been mayhem without Mr. Jolly's advice. I was charged with a DUI and felt ashamed, alone, and scared. I looked up some attorneys and met with three. The only attorney who made me feel comfortable was Mr. Jolly. He and his staff treated me with respect and empathy. I hired Mr. Jolly and, long story short, we eventually went to trial and won! He was exceptional and so too his staff. Plus, he fees were cheaper than the other attorneys. Awesome. Awesome. Awesome. If you have been arrested for DUI make a smart decision - hire Mr. Jolly. If you have been charged with a DUI in Whatcom County please give us a call. Consultations are always complimentary and we are more than willing to take time to talk on the phone or meet prior to your court date. There is never an obligation to hire us and never any pressure. If you feel like writing a client review, we welcome an honest opinion of our work and our performance. Regardless of the situation, a criminal matter or a traffic ticket in Whatcom County, contact us now for complimentary information and to schedule a free consultation. David Jolly is a great lawyer who is well educated in his specialty and backed by a professional and hardworking staff. I cannot say enough good things about my experience with every member of his team. David is dedicated and passionate about what he does. I really felt like my husband and I were a priority to him and I'm sure he makes all of his clients feel that way. He is fair, up front and made the whole process easy to understand. In a bad situation I cannot express how confident it made me feel to know that David was in our corner working hard to help us. If you are in need of his services there is no way you will regret choosing his firm to represent you. Let David your be your first call for any type of traffic ticket in Whatcom or Skagit Counties! Life happens, and we have to deal with it. When I had issues a traffic ticket I didn't have the time or resources to navigate the lengthy process to contest it. Many thanks to David Jolly for successfully resolving a very tricky case for my son. He was very informed about how the law worked, and explained things in terms we could understand. My son's case was dismissed and he will not have it on his record. We are very grateful for this outcome. David and his staff are extremely hard workers, striving to achieve the most favorable outcomes even for the most difficult cases. Everybody was always very kind and quick to answer any questions that I had during my case. I highly recommend David Jolly Law Firm & Associates for any of your legal issues! I recently was charged with a DUI and I was scared. Mr. Jolly was so helpful and knows so much about DUI defense. He spent a lot time talking with me about my case and worked to get the best outcome in my case - I didn't get a DUI conviction. The attorneys in his office helped whenever I called with and his staff always treated me with respect. They set up a payment plan and treated me fairly. The Law Firm of David Jolly is the best in their business and I'm so glad I had them to help me through this. Thank you, David! Recently I had a DUI in Whatcom County. I wasn't proud of it and did not know where to turn. I called many lawyers but decided that David Jolly was the best choice. He was very kind and compassionate but honest, which I liked. I was also impressed by his knowledge and the fact that he has written so many books. It was a difficult time but he got my DUI reduced and saved my license. Thank you David and thank you to your helpful staff. I think of him as Super Dave. He got what looked like an ironclad DUI case reduced to negligent driving giving my son a second chance for his future. He was honest up front about our chances and did not promise us a pie in the sky outcome. I am thoroughly convinced he is committed to doing what it takes to achieve the best possible outcome. He applied his knowledge of the law, in this case an unlawful stop to garner a favorable plea bargain. He was even able to achieve a dismissal of charges at the DOL hearing. David, his partner, and office staff were as friendly, helpful, and timely as I could have wished for. They were a pleasure to deal with at every turn. When he learned my wife was ill, he actually drove all the way from Mukilteo to Oak Harbor to meet with us to discuss my son's DUI. He guided us through all phases of the case, including filing motions for continuance where necessary. For me he totally undid the stereotype of the lazy, greedy lawyer. I could not possibly be happier with Mr. Jolly and his firm. If you find yourself facing a DUI he is the man to call. Thanks David. Fantastic experience with David and his team. I thought life was over after I got my DUI and then received 2 more speeding tickets in the months that followed. David was able to get me awesome results, 2 of the 3 speeding tickets were thrown out, one of them was re-written as a non-insurance impacting ticket. My DUI was very well handed in the courts and the Department of licensing charges were dropped. Fantastic results, David and his team were very thorough with their contact and follow up before during and after the case. I couldn’t be happier with my decision to use him. I almost never post reviews, but this performance deserves one. I made the biggest mistake of my life when I chose to drive my vehicle after having 2 drinks at a bar in Bellevue. When I was leaving, there was a check point at the exit of the parking garage. Little did I know, Bellevue Defense Attorneys are some of the hardest people to negotiate with. I had a clean record and this was my first time I encountered a DUI charge. After interviewing a few lawyers, I felt David Jolly was the most knowledgeable and the most passionate lawyer to represent me with this case. David was able to get the DOL judge to "dismiss" my case (which is usually very hard to do) because the police had no probable cause to stop me at the parking garage exit. Unfortunately a few weeks later, we encountered one of the toughest DA's in the Puget Sound. Even though I completed the alcohol evaluation, alcohol/drug information class, and the DUI victim's panel (without being asked), the DA was not willing to negotiate the charges. After going back & forth to the court house, 7 months later, David Jolly was able to speak to the DA's supervisor and negotiated them to drop the charges to a "reckless driving with NO jail time". Though I was hoping for a "negligence one", I knew if we went against them in court, it was a "DUI" vs a "dismissal", which really depended on how the judge was feeling that day. Even though I knew we had a very strong case, I decided to go with the "reckless driving with NO jail time". I felt lucky that I was even offered that by Bellevue. David Jolly was extremely friendly throughout the whole process. He knew this was my first time going through this, so he helped me step by step through the whole process. Each time I talked to him, it seemed like he really cares about his clients and their situation. It looks like he enjoys his job very much. At the courthouse, he was always very professional. His assistant Janean was also helpful through this rough time. She was so quick to inform me about the progress of my case and very quick to reply if I had any questions. She always made people feel comfortable when you entered their office. I give David Jolly's entire office an "A+". I highly recommend them if you unluckily get a DUI. Thank you David & Janean for everything you have done for me. I was truly blessed to have you represent me though this hard time. ONE MORE THING: David's book "The DUI Handbook For The Accused Vol. 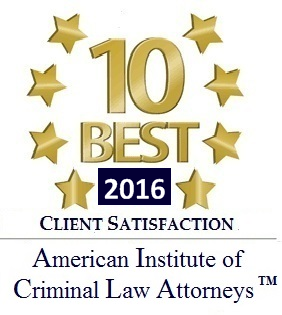 II" provided me with great information and expectations throughout the entire case.